Dyslexia is a disability that exists in all countries that have high expectations for literacy. The inability to read in spite of normal intellectual potential represents one of the most puzzling educational challenges for literate societies, regardless of the culture or language. 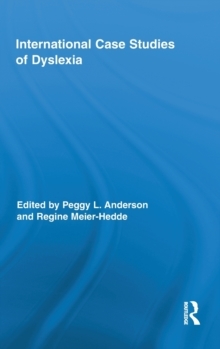 This book examines medical, psychological, educational, and sociological data from comprehensive case studies of preteen dyslexic children, in order to profile the disability as it occurs in seventeen different nations. Interviews with the children and their parents reveal how children with dyslexia are identified and treated around the world, and provide a look at various perceptions of dyslexia and its challenges. Researchers and practitioners in education, psychology, and health-related professions will find this case book to be an excellent reference. Parents of children with dyslexia will find the advocacy recommendations helpful.